Horizon CE5.2 Elliptical cross trainer is the ultimate full-body workout with the smooth, natural stride of the SixStar Certified CE5.2 elliptical cross trainer. With MP3-compatible Sonic Surround speakers, 10 programming options and a Coolfit fitness fan, Horizon CE5.2 Elliptical cross trainer workouts will be more challenging and enjoyable than ever before. 10 Program Options-Choose one of three targets—Time, Distance, Calories—and one of four workouts—Hills, Reverse Train, Weight Loss, Custom—for a completely unique and tailored workout experience. Six Star Certified Platform-Derived from extensive biomechanics research and user panel testing, SIXstar Certification is a unique combination of the six key elements needed to deliver the smoothest, most natural elliptical feel available. Sonic Surround Speakers-In addition to two quality speakers, the console includes an MP3 input for playing your favorite workout music, and a headphone output for privacy. *Note: Most of the sites, stores or shopping portals listed above sell Horizon CE5.2 Elliptical with discounts and other exciting offers. 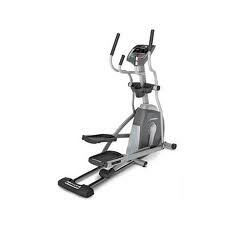 There is a possibility that the some of above websites are not selling Horizon CE5.2 Elliptical now. Toughtrain.com is not liable for such cases or instances. Also we do not recommend any seller for Horizon CE5.2 Elliptical and a buyer should buy from where he/she gets best deal with quality of products, service and on time delivery (shipment).